Having a child with autism definitely has its challenges. Having additional children without a diagnoses presents an entirely new set of challenges. I have three children; Jennifer, Matthew and Lenny. 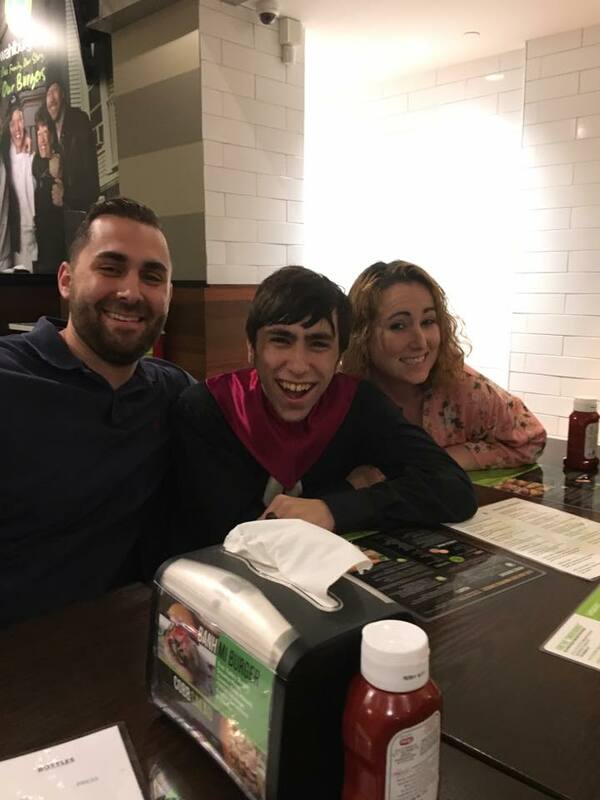 Lenny was diagnosed with autism at age 2. Our schedules filled with an array of OT, Speech, BSC, TSS appointments, and I quickly learned that Lenny was going to consume a lot of our time. We were constantly “working” on behaviors with him. By the time he was 3 years old, and my other two children were 10 and 8, Lenny was receiving about 52 hours per week of behavior services. That meant, I was spending 52 hours per week, learning everything I could to help him. The sad truth is, that left me exhausted and also left very little time to spend with my other two children. My biggest fear was that Jenn and Matt would think I loved them less. In comes the balancing act. How could we, as parents, ensure that these two little kids know and feel they were loved just as much as their brother who seemed to get all of our time and attention? I began to reach out to other parents, which was not all that easy to find at the time, to see how they managed to divide their time and attention. I’m not sure who exactly made the suggestion, but I am forever grateful to have received this advice: “Give them each a day, every month with each parent.” It was decided that my husband and I would individually have a special day with each child. It was their choice, most of the time, what they wanted to do on their “day.” There were honestly so many days that I felt that Jenn and Matt were being neglected, or at least, I worried that they felt that way. Although I enjoyed those special days, one on one with each child, I longed for days where I didn’t feel the guilt of focusing most of my energy into just Lenny. As Lenny’s behaviors improved, we had more free time for our other two children. Meanwhile, they had continued to grow and flourish into young teenagers who wanted to spend more time with their friends and their activities. I hope those days meant as much to them as it did to us. Fast forward to now, Matthew was just accepted into the The Philadelphia Police Department. From the time he was young, he would say he was going to be a police officer. He changed his mind a few times along the way, but decided after graduating from high school that he would pursue a degree in criminal justice, which he accomplished. I know he will do great things in his career because of his passion and drive. Jennifer is also very passionate about her career choice; helping children with special needs. So much so that she began working as a TSS (Therapeutic Support Staff) the day after graduating from college. The first client Jennifer worked with had many sensory needs that were difficult to meet. 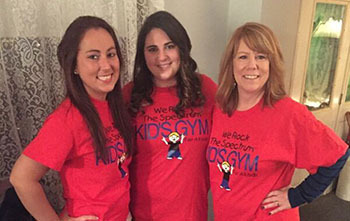 Jenn came home from work one day with an idea of opening a play place for all children, but specifically a place with sensory equipment to help children with autism and sensory processing disorders. and the dream was born. To say I am a proud parent is an understatement. I always worried that my children felt like time spent with them was an afterthought. I guess, we as parents, did something right along this journey, or perhaps we were lucky. I have two adult children who are following their dreams. Meanwhile, my son Lenny isn’t too far behind his older siblings as he is attending college.